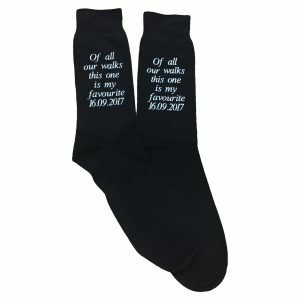 Date of Wedding. 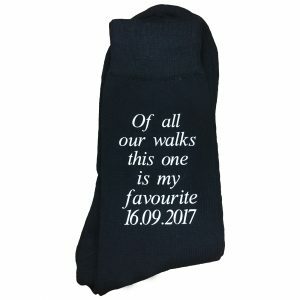 Text will be printed exactly as shown in this box. 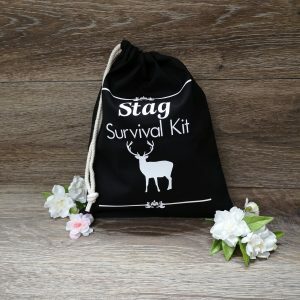 Stag survival kit bag is a great way to start off any survival kit. 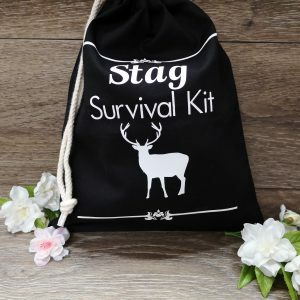 This 25 x 30cm canvas bag can hold lots of unique gifts to get you through your stag night. 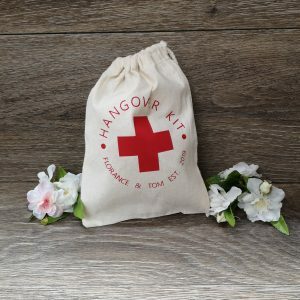 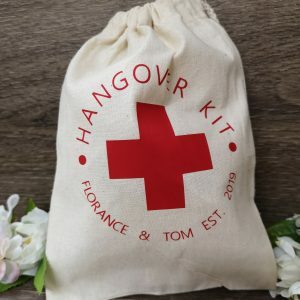 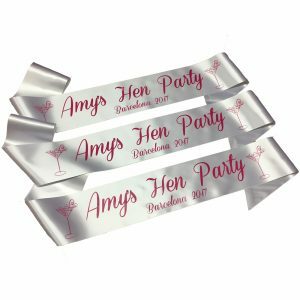 This is just an idea of a few cheeky gifts you could include to help you survive that last night. 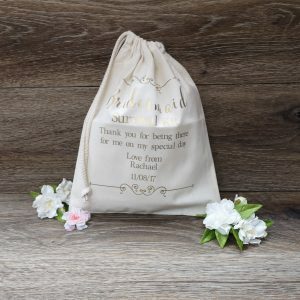 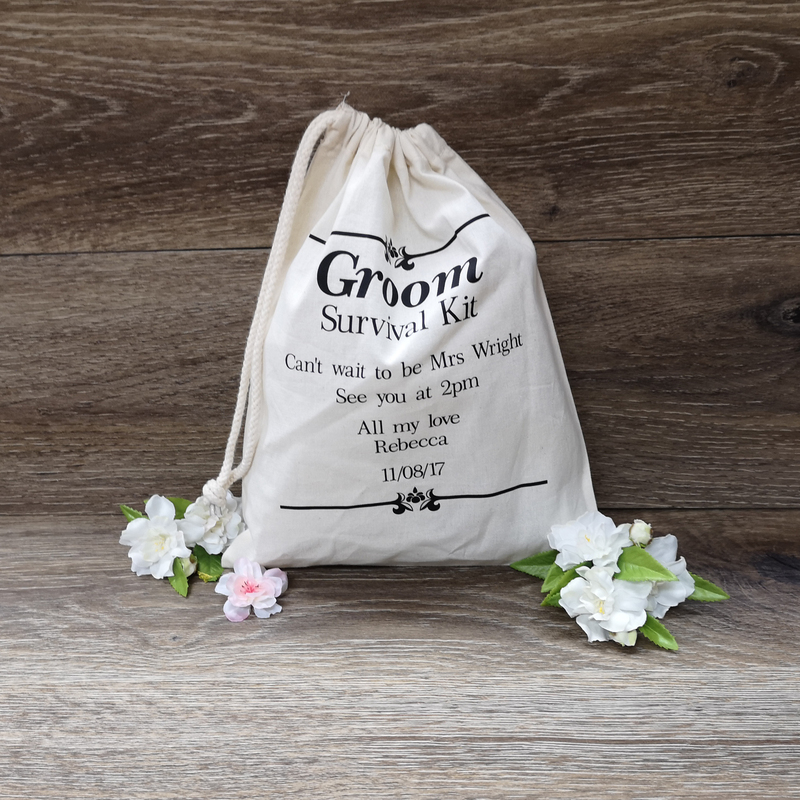 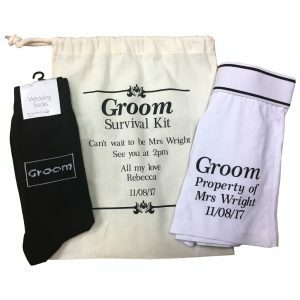 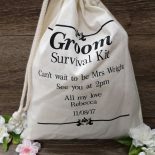 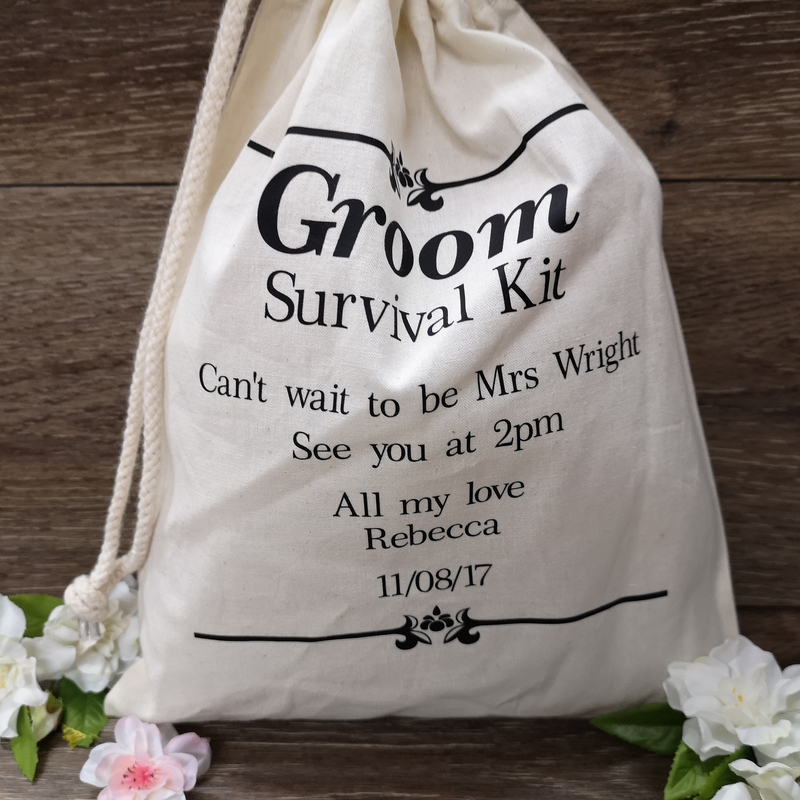 This survival bag can be for any one of your stag party members, the groom-to-be or even the best man. 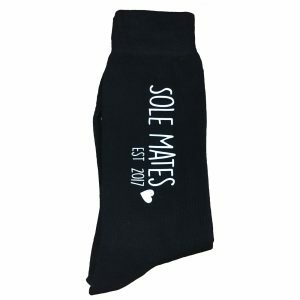 Sole Mate socks established 2017 ideal for the groom, a lovely present from the bride on your special day to the groom.